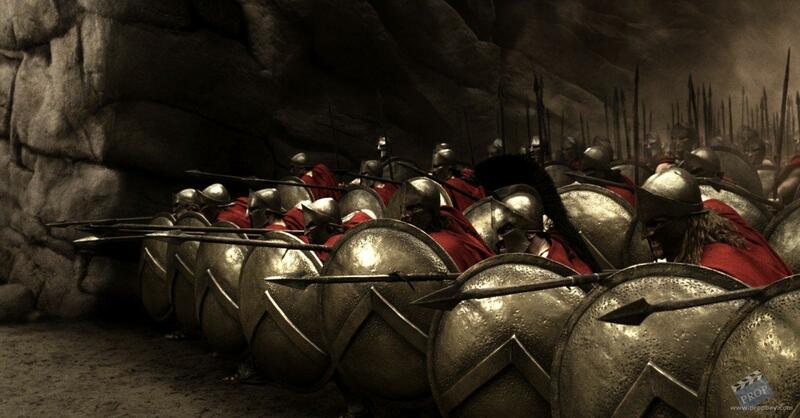 This is a rubber Spartan Helmet used in the epic Zack Snyder movie '300'. The helmet is made of hard rubber with faux battle damage scars on it. Inside it we can read a couple of names for the stunts that wore this particular helmet, automatically making it screen used: Louis Paquette and Tim Rigby, being the later one of the most talented stunt doubles in current Hollywood with a vast curriculum of movies in his career. 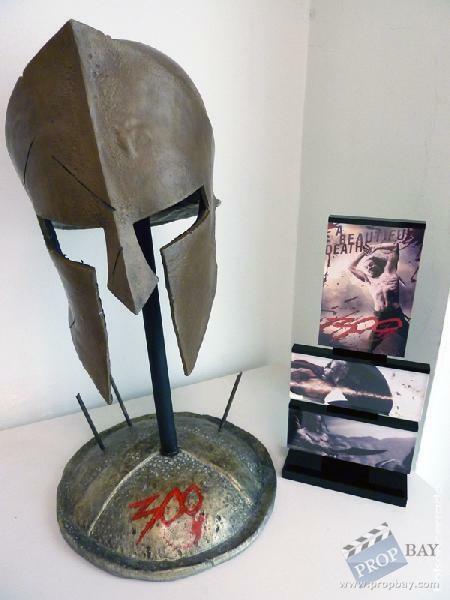 Display was custom made by a fellow RPFer, depicting the infamous Spartan shields with arrows in them. Added: 12-11-2011 - Viewed: 3547 times.